Sundal is a popular South Indian snack made with lentils or legumes and tempered with spices. 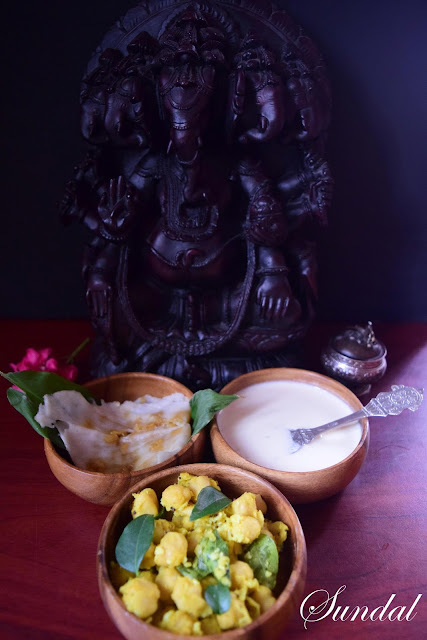 It is protein rich and a very nutritious snack. 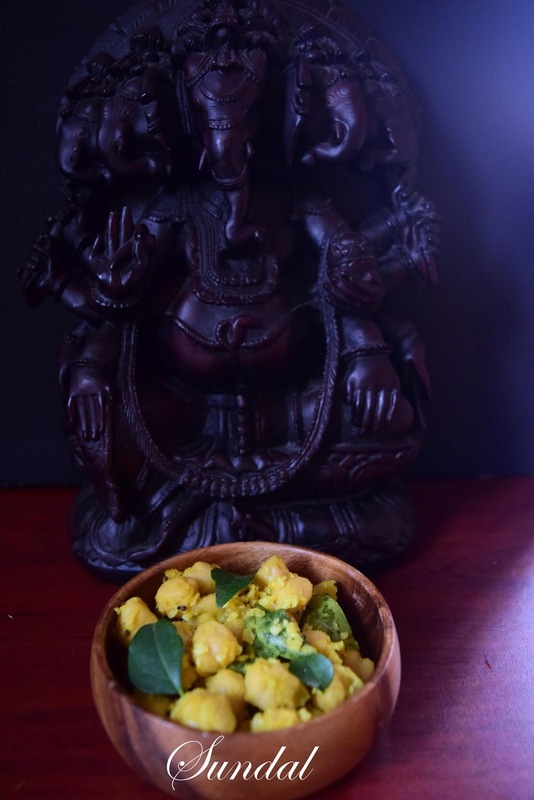 Sundal made with chickpeas/channa is offered to Lord Ganesha on the day of Ganesha Chathurthi. 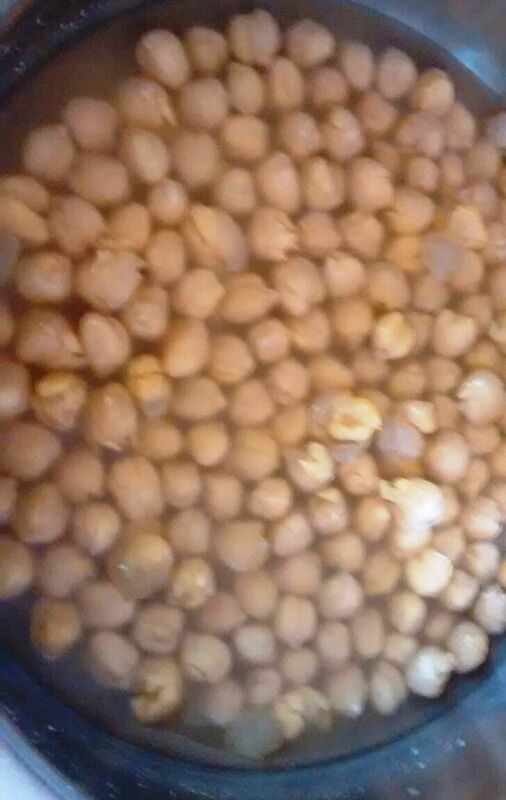 Pressure cook chickpeas for 3 whistles or till it is soft. Drain all excess water and keep aside. 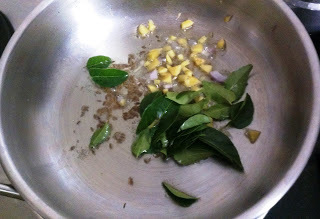 Heat oil in a pan and add mustard seeds. When the mustard seeds start spluttering, add green chilli paste, grated ginger, hing, curry leaves and saute for a few minutes. 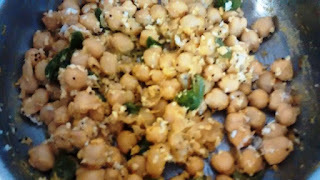 Add cooked chickpeas, salt, turmeric powder and mix well. Finally add coconut, lemon juice and mix well. Switch off gas.